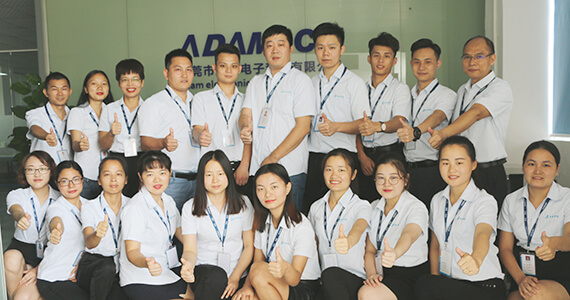 Adam Electronics Technology Co.,Ltd, founded in 2004, with its headquarters in Dongguan, China,and ranks among the world’s leading suppliers of industrial connectors & cables. Core competencies are development, production and sale of industrial connectors & cables. The company is one of the market leader in China. 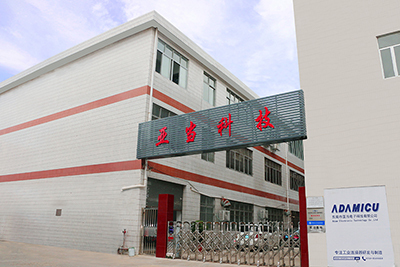 ADAMICU employs about 600 people . In 2016,sales totaled 1 million dollars. ADAMICU offers a broad range of industrial connectors & cables which include high density, machined pin, combo, waterproof d-sub connectors, circular connectors, SCSI connectors, computer video connectors, and various cables, such as servo motor cable, industrial robot cable, industrial camera cable, communication and control cable which are widely used in the industrial field. Our products adopted eco-friendly materials, and achieved ISO 9001, UL. CE, SGS and other certifications, sold worldwide and the major markets in Europe,America, Asia,high praised by our cooperated members which include Amphenol, FCI, Panasonic. The future is being built today, and Adamtech is making that future more productive, more secure and more sustainable. Connect the world,connect the future.